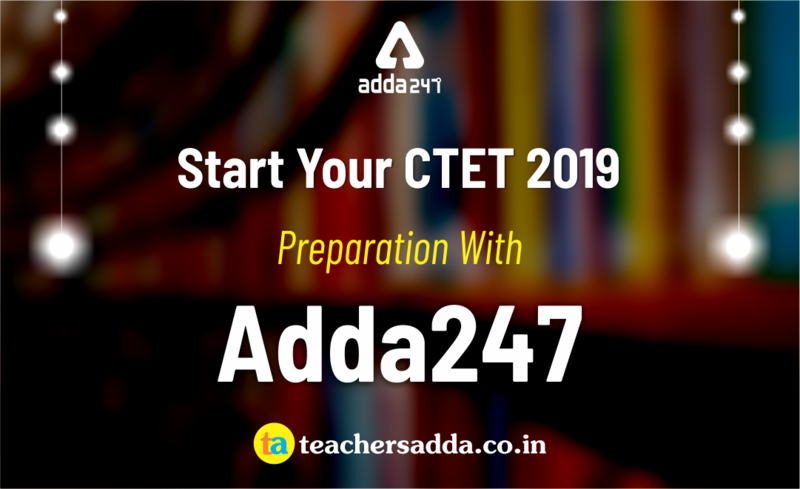 It's time to gear up and start preparing for CTET 2019 Examination. It is a golden opportunity for aspirants aiming to become a Govt. teacher in 2019 and to be able to get through the competition you must start practising with the latest pattern based and the best practice material. 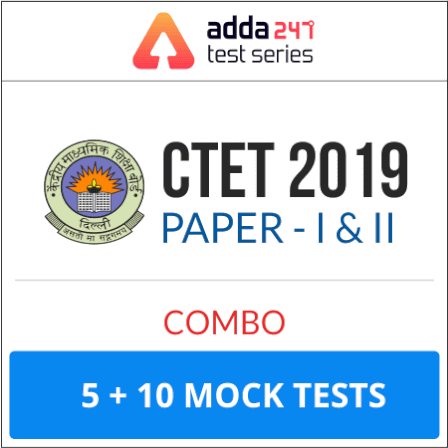 At teachersadda.co.in which was previously called ctetadda.com, we come ahead with one stop solution to all your problems which you face while preparing for any teaching exam conducted in India. 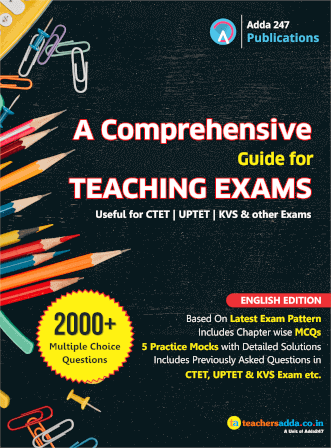 Let it be exam syllabus detail, teaching job alerts, study material for important subjects of teaching exam like Child Pedagogy, Science, Hindi, English, Maths and every other subject asked in the said exam, Subject wise Quizzes, Notes and Pdfs etc. no single tool is missed out on our teachersadda.co.in website which ensures your chances of cracking these teaching exams. 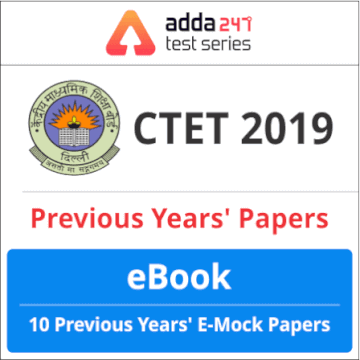 CTET Exam’s 2013-2018 Previous Years Papers (English Edition) E- Book comprising 10 Previous Year Questions Papers Of CTET Exam at just Rs.99 developed under the tactical guidance of top rankers and teaching exam experts of ADDA247, optimizes your performance uplifting it to the summit of your level best. Self-assessment describes the process by which each aspirant evaluates her own progress or performance. Testing or assessing your progress with mocks helps you ace the competitive examinations that you appear for. It helps you identify your strengths and weaknesses as well. That way, in the original examination, you will choose to attempt the very questions first that you are very good, or say fast at. Adda247 test series encompass a range of questions that match the level of frequently asked questions, previous year questions, and new pattern questions for every Competitive Examination. They simulate the real tests and let you know you how to attempt the questions in a way that you are able to attempt the maximum number of questions within the stipulated time. Test series also give you an All India Rank so as you can assess where you stand. 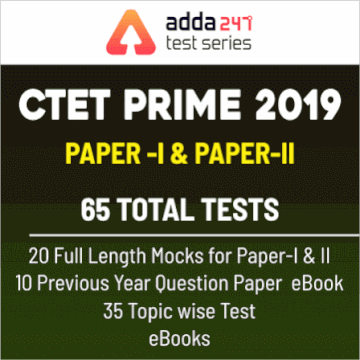 Along with that, Adda247 brings "A Comprehensive Guide for all the Teaching Exams" which demand a flawless preparation to cope up with the toilsome competition against the other teaching aspirants. This all-inclusive guide, incorporates all the major and mandatory subjects viz. Child Pedagogy, Mathematics, Science, EVS, Social Studies, General English, General Hindi Reasoning and Computer which create the real challenge for the aspirants who appear for the exam. 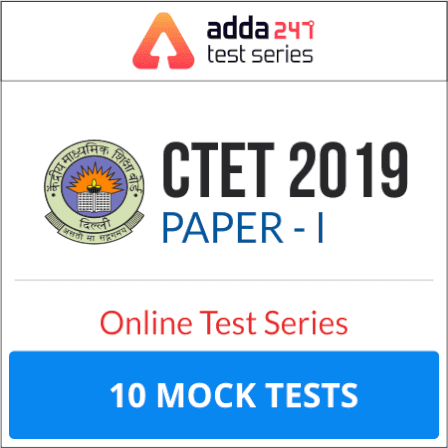 Visit teachersadda.co.in on daily basis to add up to your preparation as CTET Exams 2019 are in the offing. You can also Follow us on Teachersadda FACEBOOK Page.